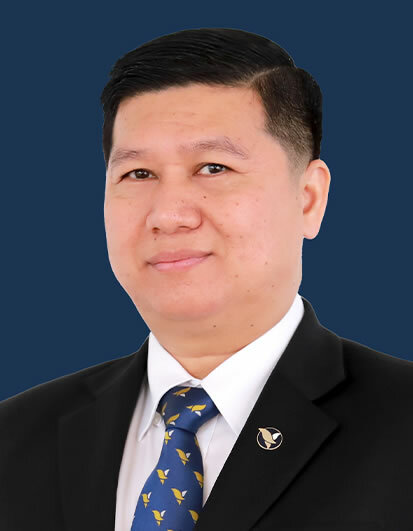 He finished his duties as MD & CEO and a Board member of ACLEDA Bank Lao Ltd., for over 9years on December 31, 2017, and became the Managing Director of ACLEDA INSTITUTE OF BUSINESS since January 1, 2018. Born in 1980, he obtained a Master's of Business Administration (MBA) major in Finance from National University of Management, Cambodia in 2011. He gained Bachelor of Accounting from National University of Management (NUM) in 2003 and also gained Bachelor of Law from Royal University of Law and Economics (RULE) in 2002. And now, he is an ACCA program's candidate at Cam-Ed Business School. He has attended many courses related to finance and banking, training of trainer, management and leadership, financial auditing and fraud investigation and prevention which were organized by ACLEDA Bank and Overseas Institutions. He started working for ACLEDA Bank Plc. 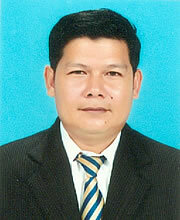 as an accountant in 2003 and was promoted as a Deputy of Chief of accountant in 2005 in Kompong Speu Provincial Branch. He moved to work as an auditor in 2007 at ACLEDA Bank Plc. Headquarters. 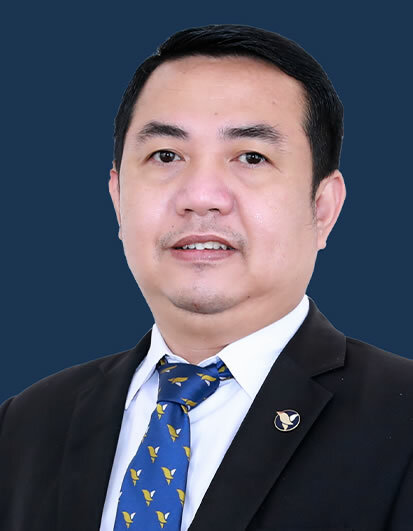 He was promoted as Assistant Vice President and Manager of E-Banking & Trade Finance Audit Unit in 2008 and as Assistant Senior Vice President of Internal Audit Department in 2009. He became a Head of Financial Audit Department in 2012. Since 2005, he has been assigned as a member of trainer pool of ACLEDA Bank Plc. who has had experiences in delivering training courses on skill of accountant, general accounting and finance, business plan development, financial auditing, cash auditing and he was Deputy Managing Director and Head of Planning & Finance Office of ACLEDA INSTITUTE OF BUSINESS from March 2016 until December 2017, His current position is a Deputy Managing Director & CFO of ACLEDA INSTITUTE OF BUSINESS. Born June 1973. Mr. SO Sovannareth obtained a Master's Degree in Management Development majoring in management from Norton University in 2008. He graduated with a Bachelor's Degree in Management from the Institute of Management Science in 2004, and he obtained a Diploma in English in Business Communication from the Institute for Business Education in 2010. In 2015, he earned a Certificate in Expert in Risk Management from the Frankfurt School of Finance and Management, Germany. In 2011, he also completed the MFI Management Summer Academy course in Germany, and Training of Trainers course from the Frankfurt School of Finance and Management. He also studied Curriculum Design & Development, and Professional Consulting Skills with the Robenny School of Business in China and Hong Kong. 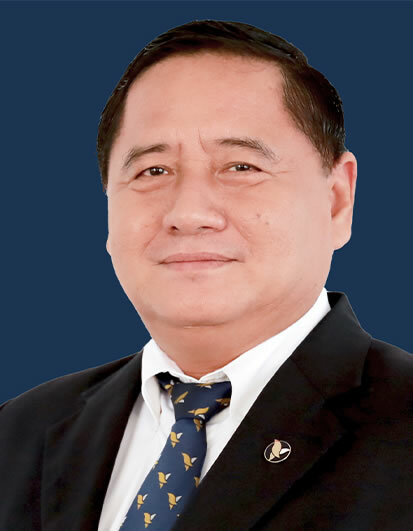 Since 1994, he also attended numerous courses in Cambodia and overseas such as Loan Management and Debt Recovery with MPDF; Marketing Training Workshop with CARE International in Thailand; Micro Banking System Training with Bank RAKYAT (BRI) Indonesia; Small Enterprise Promotion Training Program; Management Training Program for Deputy Branch Manager and District Team Leader; Coaching for Success & Leadership Effectiveness; Advanced Training and Capacity Building Strategies; and Specialized MFISV Program on Training Management. He started working for ACLEDA as a Credit Officer and Liaison Officer between ILO and ACLEDA in 1994 and was promoted to District Team Leader in 1997. He worked as AVP & Manager of Training Program Unit from 2005 to June 2009, and then was promoted to Assistant Senior Vice President of the Training Division in July 2009. He was promoted to Head of Academic Office from August 2011 to December 2012, and from January 2013 to February 2016, he was VP & Head of Research & Development Department. He currently holds the position as Head of Centre of Internal Training. Born in 1979, holds a master degree of business administration major in Management from Royal University of Law and Economic in 2008. 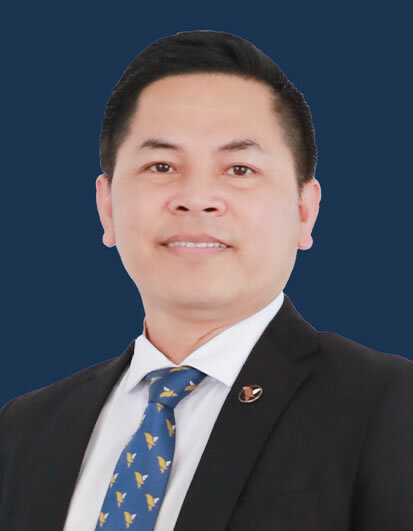 He obtained bachelor degree of business administration major in Marketing from National Institute of Management (NIM) in 2000, Phnom Penh. He attended numerous courses on Microfinance Management Development by Women's World Banking, Training of Trainers courses by the Frankfurt School of Finance, and Women's World Banking. He studied Professional Development Skills, Curriculum Design & Development, and Professional Consulting Skills by the Robenny School of Business. In 2013, he joined a study visits to the Frankfurt School of Finance and Management in Germany on "Transformation of Bank Training Center into a Global Business School". In 2015, he earned a Certificate Microfinance Expert from the Frankfurt School of Finance and Management. He attended others courses such as Pedagogy and Methodology training course for general education from National Institute of Education, Linking Learning Outcome, Teaching and Assessment, Results Based Planning and M&E Framework, and Risk Management etc. He started his job with ACLEDA Bank in April 2001 as an Information Service and Research Officer and was promoted to Chief of Branch Marketing in October 2002. In October 2006, he worked as an Assistant Vice President & Manager, and was promoted to Vice President & Branch Manager of ACLEDA Bank Plc. in 2007. From May 2010 to January 31, 2018, he was a Senior Faculty and promoted to be Head of Marketing & Communication Office of ACLEDA INSTITUTE OF BUSINESS (AIB) in February 01, 2018. He currently holds a position as Head of Department of Foundation Year & Department of Business Administration of ACLEDA INSTITUTE OF BUSINESS. Born on 14th April 1981. 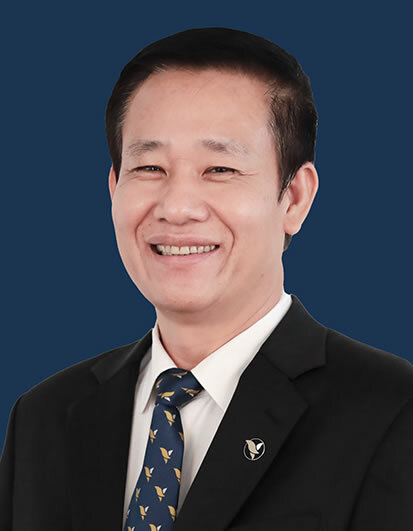 He obtained Master's Degree of Business Administration, specialized in General Management, from Chea Sim University of Kamchaymear (SUK) in 2010. He earned a Bachelor's Degree of Accounting, from the SUK, Cambodia in 2007. He graduated Diploma of General English Program at AIB, Phnom Penh in 2017, obtained the pedagogical training from Regional Teacher Training Center, Prey Veng Province, as a trainee in Teacher of English and Khmer in 2003-2005, and also attended the professional courses and worked such as Credit Officer (2007-2008), Trade finance Officer (2008-2009), Manager of Trade Finance Officer (2009-2011), Manager of Marketing Officer (2011-2013), at ACLEDA Bank Plc., and Manager of Customer Relations & Cooperation (2013-2018) at AIB. Presently he is a Head of Centre of Business Languages of ACLEDA INSTITUTE OF BUSINESS. Born in 1982, she holds a Master Degree of Auditing in Auditing from Vanda Institute in 2010. She obtained Bachelor Degree of Accounting in Accounting from Vanda Institute in 2008 and Bachelor Degree of Business Administration major in Marketing from National University of Management (NUM) in 2004, Phnom Penh. She attended workshop on "Results Based Planning and M & E Framework", "Annual Operational Plan and M & E" and "Development of Curriculum in accordance with the National Qualifications Framework" from Department of Higher Education and she joined workshop on "Accreditation Process on Higher Education Institutions and How to Prepare Self-assessment Report (SAR) and "Law on Accounting and Auditing" at ACLEDA INSTITUTE OF BUSINESS. She started her job with ACLEDA Bank Plc. in November 2005 as a Credit Officer, in 2007, she was a Cashier and was promoted to Vault Attendant in May 2011 in Phnom Penh Branch. In November 2013 she moved to work at ACLEDA Training Center as a staff of Research Unit, in 2014 she was a Risk Management Officer, in 2015 she was a staff of Internal Quality Assurance Unit and was promoted to Manager of Internal Quality Assurance Unit at ACLEDA INSTITUTE OF BUSINESS in 2017. Her current position is a Head of Audit and Compliance Office of ACLEDA INSTITUTE OF BUSINESS. Born on 1978, he, holding a Certificate International "Certified SME Finance Expert" from Frankfurt School of Finance & Management, and German in 2014, is a candidate of Doctor of Business Administration (DBA). He; moreover, had a Master's Degree of Business Administration (MBA) major in Finance from National University of Management, Cambodia in 2011. In 2012, he graduated with a Bachelor of Arts majoring in English for Business Communication (English Based, International Program) from Pannasastra University of Cambodia. 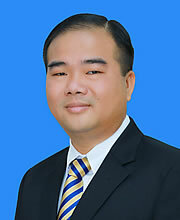 In 2000, he gained a Bachelor of Economics in Banking and Finance at Norton University, Cambodia. In addition, he has attended numerous short courses on finance and banking, training of trainer, management and leadership organized by ACLEDA Bank Plc. since 2000. He started working for ACLEDA Bank Plc. as a credit officer in 2000. Momentarily, he was promoted as a chief of credit officer in 2001, and he moved to work as an Auditor in 2003 and was changed to Accountant at Operation Department, Headquarters, ACLEDA Bank Plc. in 2004. Furthermore, in 2007, he was promoted as an Assistant Vice President and Manager of Accounting Unit at Trade Finance Division while he was being assigned as a member of trainer pool of ACLEDA Bank Plc. and responsible for delivering training courses on task of accountant, financial and accounting management, financial statement analysis, planning and budgeting, ratio. Sooner or later, he became a Senior Specialist at Trade Finance Division in 2013. In 2014, he, holding a position as a Senior Faculty, specialized in finance and accounting at ACLEDA Training Center, became a position as Head of Department of Business Administration at ACLEDA INSTITUTE OF BUSINESS. Recently, he has moved to as Assistant Head of Centre of Internal Training in 2018. He currently holds a position as Head of Centre of External Training at ACLEDA INSTITUTE OF BUSINESS. 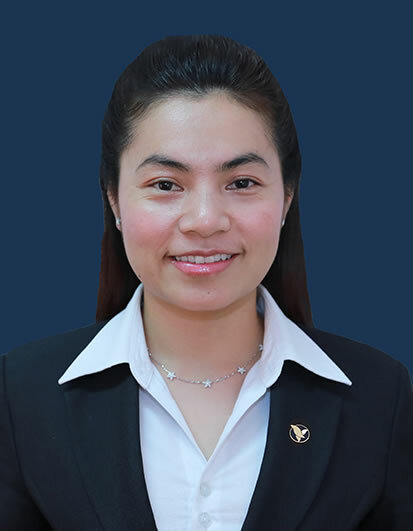 Born in 1980, she obtained a Master's of Business Administration (MBA) major in Management from National University of Management, Cambodia in 2003. 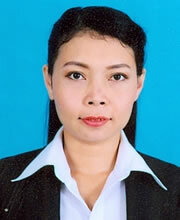 She gained Bachelor of French Literature from Royal University of Phnom Penh (RUPP) in 1996. She has attended numerous courses related to training of trainer, management and leadership which were organized by ACLEDA Bank and Overseas Institutions in Cambodia, USA, Indonesia, Taiwan, Laos, and Vietnam. She started working for ACLEDA Bank Plc. as a Training Officer in 2003 and was promoted to be Assistant Manager of Training Unit in 2007. Later, she got promoted to be Unit Manager. She was in this position for 7 years during which, she supervised different units including Administration, Marketing and Internship. In 2014, she became Senior Specialist of Academic and Student Affairs Office and then a Deputy Head of Academic and Student Affair Office. Currently, she is Head of Academic and Student Affairs Office of ACLEDA INSTITUTE OF BUSINESS. During the course of her experiences, she has engaged in teaching, coaching, supervising staff members at ACLEDA Bank and AIB academic students. Born in 1980, holds a master degree of business administration major in Finance and Banking from Build Bright University in 2010. He obtained bachelor degree of business administration major in Accounting from National Institute of Management (NIM) in 2002. He joined study visit program with The Universities in Taiwan such as Elite Study in Taiwan (ESIT) Ministry of Education, Chung Yuan Christian University (CYCU), National Cheng Kung University (NCKU), National Sun Yat-Sen University (NSYU), National Central University (NCU), National Taichung University of Education (NTUE), National Chung Hsing University (NCHU), and University of Taipei in September to October 2014. In November 2013, he also participated in Experience Sharing Workshop between National Bank of Cambodia and Bank of Lao PDR on Regulation and Supervision on Financial Institution in Cambodia, Lao PDR. He started his job with ACLEDA Bank Plc. in May 2008 as a Customer Service Officer and was promoted to be AVP and Assistant Manager of Branch Marketing Officer in October 2008. In June 2011, he has been a AVP and Manager of Branch Marketing Officer at Phnom Penh Branch, and was promoted to Manager of Marketing Unit of ACLEDA Training Center in September 2012. Since July 2016, he has been a Head of Public Relations Office. Now he is Head of Centre of Marketing and Relations of ACLEDA INSTITUTE OF BUSINESS.